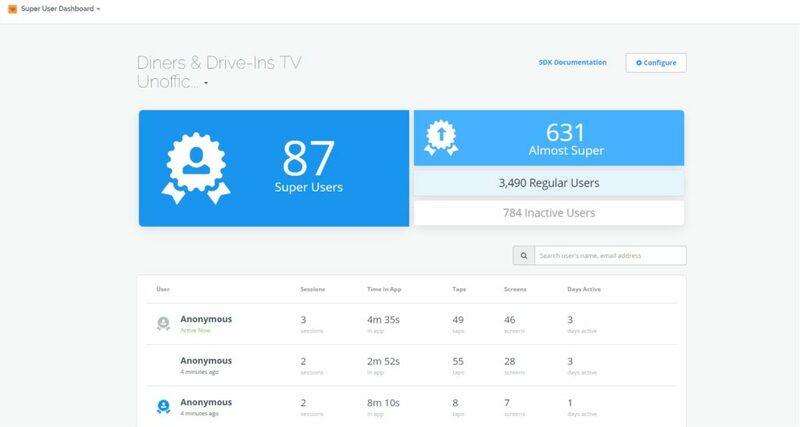 Find your app’s Super Users and hack your growth! 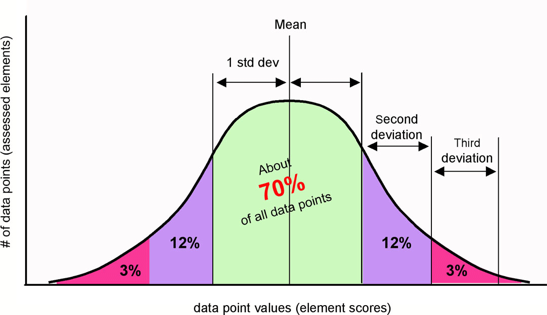 A standard deviation bell curve breaks down your users into tiers of usage, based on the overall average use. The greatest part of app users end up there in the middle––your core users. The 15% on the left barely used it; the 15% on the right are your Super Users. Using normal analytic tools, like Flurry or Google Analytics will give you data on open rates, clicks, and even some demographic info. But what they don’t do is give you tools to move users from left to right on the bell curve. 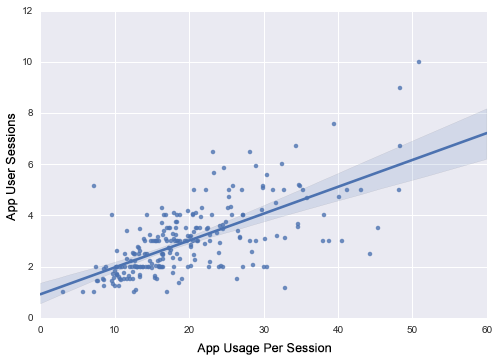 Tracking sessions by users on the Y axis and the amount of time per each session on the X axis can give you visual clues as to your app usage and either problem areas or successful areas to concentrate on. When I was selling comic books in Midtown Sacramento in the 1990s, we wanted to segment our customers to encourage them to shop with us more often. 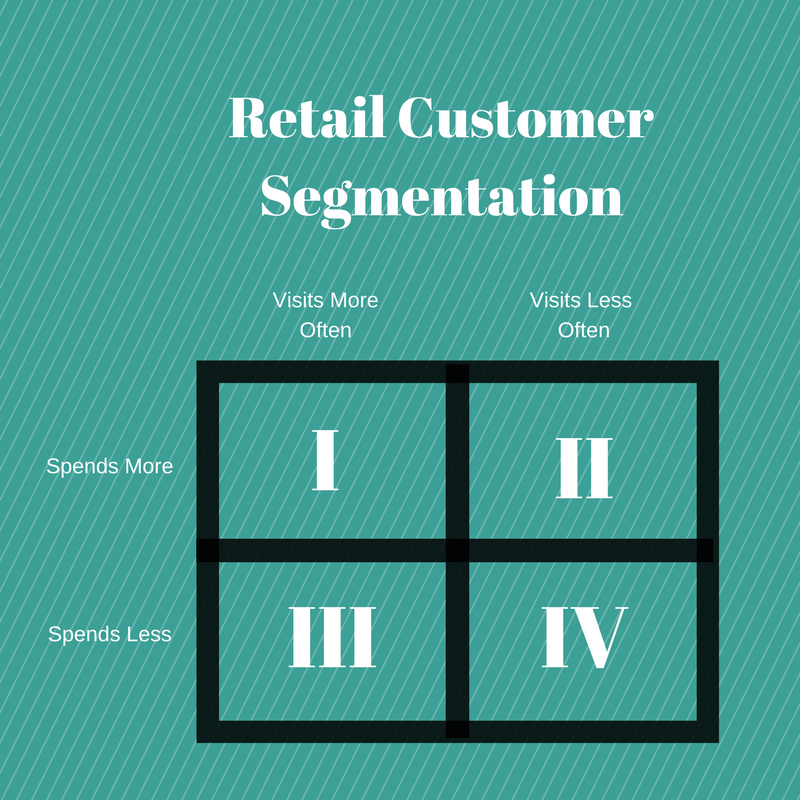 In the comic industry (and many retail environments), one of the easiest customer segmentation systems was measuring our customers by average time between visits and how much they spent each visit on average. And, because we were a comic store, Super was a good term for our best customers. For our store, our average customer came in every two weeks and spent $14.00 each time. Our Super Customers were those who visited weekly and spent more than $15 each time. With these two metrics, we now had four groups of customers, and we could create marketing plans for each group. Group 1 – Here are our Super Customers–the ones who keep the doors open and the lights on. We have special events outside of business hours for them, put unique promo items that we knew they’d like aside for or gave them special discounts when available. These customers are special, and we treated them that way. Group 2 – Visited more often than average, but spent less than average. These are the customers we saw as often as our Super Customers–they just didn’t spend as much. To help get them into Group 1, we gave them coupons to make them spend more than average to get the discount. Because our average transaction was $14.00, we would give them a coupon for $10 off any purchase of $40 or more. And we could see them wandering around the store adding things to their pile and adding it up in their head. But, after they’d spend more than $14.00 several times, we didn’t need to give them the incentive anymore. Group 3 – Visited less often than average, but spent more each trip. Here, we wanted to get these customers to just come in more often. So, they might get a series of coupons that required each one to be used in sequence one a week over a period of time to get to the last, and best, coupon. Or we’d give them a coupon that couldn’t be used on the same day, but had to be used within the next 7 days. Group 4 – These were our general every-so-often customers. We wouldn’t try and get them from Group 4 to Group 1 right away. We would try and encourage them first into either Group 2 or 3, before making the jump to Group 1. Either get them visiting more often or get them to spend more each visit. From there, you then move them into Group 1. App developers need to identify their Super Users and those users that might become Super with the right encouragement. Using two metrics, that’s become easier than ever. 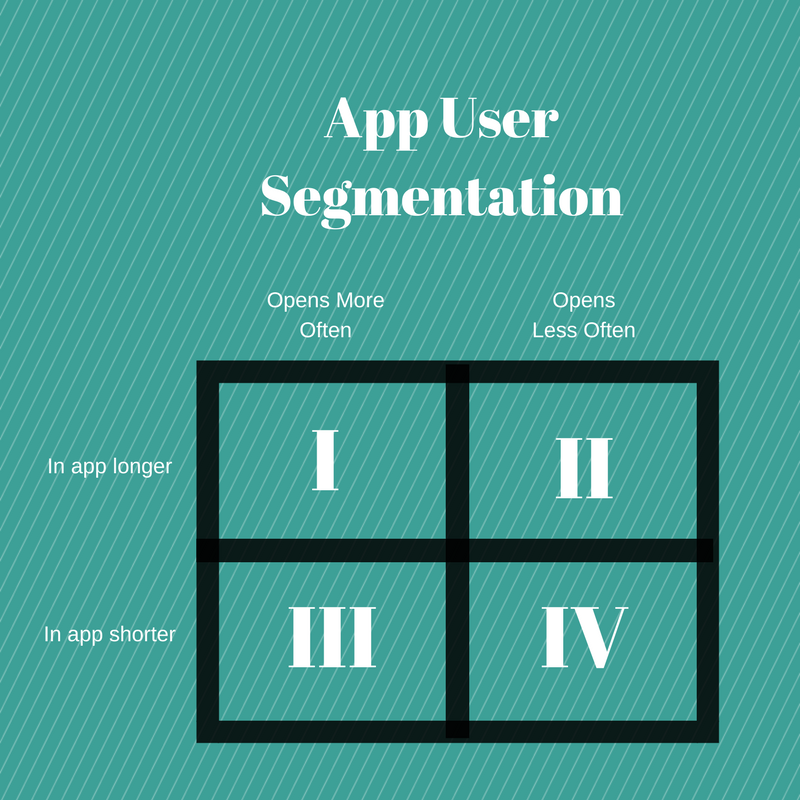 How often do your users open your app, and how long do they use it each session? This is fundamental to not only understanding your app usage, but also to getting your best users–the Super Users–to help you grow your app usage. Group 1 – These are your Super Users who open the app more often than average and spend more time in it than average. These are the users you want to focus on for app reviews, social sharing, promotions, and rewards. Most likely, they’re already sharing your app with their friends, so find more ways to encourage it and reward them. Group 2 – These are opening your app more often, but spending less time in it. You should use them to find out why they have shorter app sessions and find ways to get them to stay in the app longer. Depending on your app, this can be anything from free coins at the end of a game play, extra targeted content, or anything that keeps them around just a little longer. Group 3 – Here are your infrequent users who like using your app, but just don’t think about it as much. You’ll need to look for ways to bring your app back to the front of their mind (or the center of their home screen). App notifications, push messages, email all work to bring your app back to a user’s attention. Group 4 – These are the bulk of the users who used your app once and deleted it or started to use it and stopped. So, you want to find incentives to bring them back at least once or twice and see if you can move them into Groups 2 or 3. They’re also a good potential source for surveys on why they didn’t use the app more than a couple of times. So how do you get this data about your users in an actionable format? This isn’t app analytics or mobile analytics. It’s aimed at one thing – tracking each user by sessions and length of app usage each session. But, once a user becomes a Super User, they’re tagged with the code so you can create actionable triggers within your app code only for your Super Users. 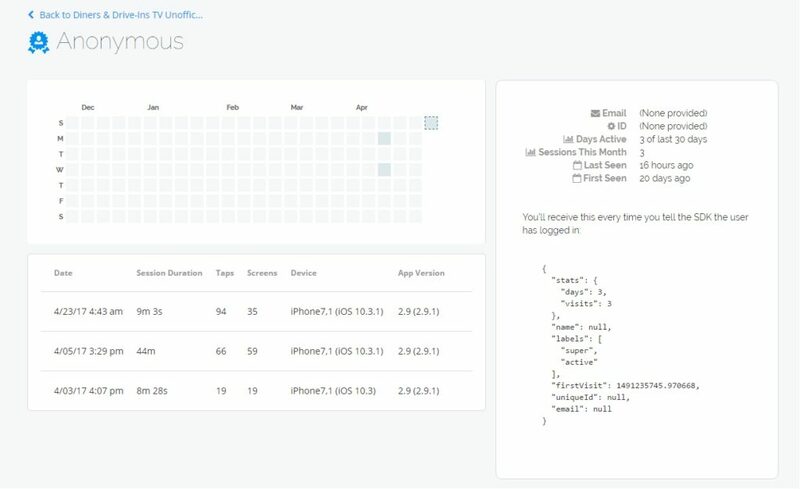 Super User tracking in AppToolkit is live; you can see new sessions as they happen. And, because of the SDK, you can create in-app events to recognize them, reward them, and use them to grow your audience with their friends and peers. You can see how many sessions a user has had, the length of time of the last session, how many taps they made in our app, and how many screens they looked at. Think about it. Who is more likely to give you a glowing 5-star review in the app stores when getting a prompt in your app? The user that just happens to open the app for the 10th time or your Super Users? Who is more likely to respond to a trigger asking them to share your app on Facebook or Twitter? Any random user or your Super Users? Who do you want to reward for their usage or ask for new feedback on new features, promote a new app or service to, or ask to beta test new apps or features? Your Super Users already exist. You just need to identify them and use them to grow your audience. Your first 1,000 users are free and only $0.001 per MAU per month after that. You can also sign up for the AppToolkit.io semi-regular newsletter here for more ideas on how to hack your app users into more growth.